DePauw University’s Psychology and Neuroscience Department invites applications for a one-year visiting professor position for the 2019-20 academic year. A commitment to teaching undergraduates in a liberal arts environment and evidence of effective and inclusive teaching are essential. The 3-3 course assignment includes Introductory Psychology and other Psychology or Neuroscience courses consistent with the candidate’s expertise, with opportunities to repeat some courses across semesters. A PhD in Psychology or Neuroscience is preferred; ABD considered. rank and salary commensurate with experience. This is primarily a teaching position; a research program is not required, but there are generous opportunities for departmental and university research support. Faculty-student research is encouraged. Candidates should submit the following through Interfolio ( https://apply.interfolio.com/61295 ) application letter, CV, names and contact information for three references, statement of teaching interests, graduate transcripts, and evidence of effective teaching (such as course evaluations). In application materials, candidates should demonstrate a commitment to fostering an engagement with a diversity of ideas and experiences, which promote an inclusive environment in the classroom and at the University. Please address inquiries to the department chair, Michael Roberts, michaelroberts@depauw.edu. Review of applications will begin on April 2, 2019 and continue until the position is filled. 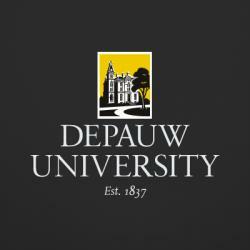 Located 45 minutes west of Indianapolis, IN, DePauw is a nationally-recognized liberal arts university dedicated to educating 2,100 highly talented, motivated, and diverse students from across the country and around the globe within a 9:1 student-faculty ratio. Connected to the liberal arts college is one of the nation’s first Schools of Music. For more than 175 years, DePauw has created an atmosphere of intellectual challenge and social engagement that prepares students for lifelong success. The University has exceptional faculty development funding and is a member of the Great Lakes Colleges Association, a consortium affording excellent opportunities for faculty development and collaboration. DePauw University is an Equal Employment Opportunity Employer. Women, members of underrepresented groups, and persons with disabilities are encouraged to apply.